Swerve repackaged the Studio Collection of beauty tools with a new form, identity and character at shelf, reflecting the product’s professional quality and unrivaled precision. 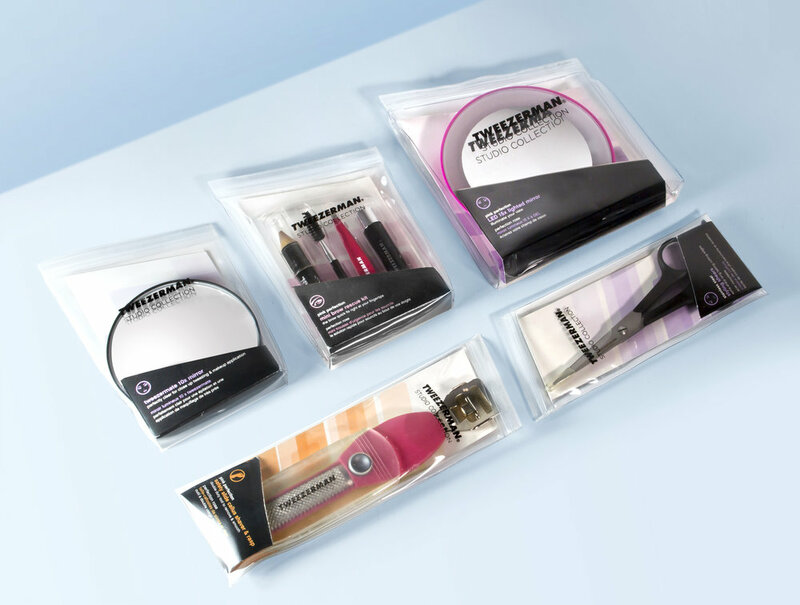 Swerve repackaged the Studio Collection of beauty tools with a new form, identity and overall presentation at shelf, reflecting the product’s professional quality and unrivaled precision. 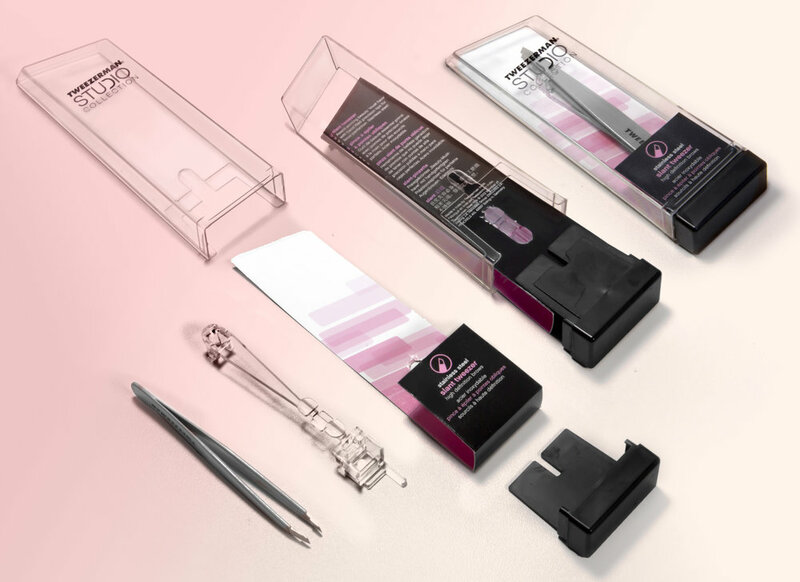 Tweezerman needed something physically iconic that would become instantly recognizable and provide a unity across all the products in the line. We developed a clear package with a crystal like angled surface that was then carried across the entire line. The graphic identity was also reinvented in line with a more professional positioning, and a system of product color-coding developed. The line of 35-plus products was then rationalized across 7 package sizes saving tooling and inventory costs and creating a more impactful and unifying presentation at shelf. The result has been a period of stunning growth and recognition for the brand, and a renewed leadership presence at retail.